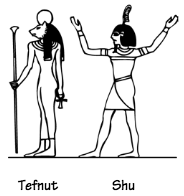 The dual Shu and Tefnut represent the initial act of creation forming the universal bubble The pair of Shu and Tefnut represented as a husband and wife is the characteristically Egyptian way of expressing duality and polarity. This dual nature was manifested in Ancient Egyptian texts and traditions, according to recovered archaeological findings. …and though didst spit out as Shu, and didst spit out as Tefnut. This is a very powerful analogy because we use the term“spitting image” to mean exactly like the origin. The Ancient Egyptian concept of the universe is like a box. The first thing the Divine created is a kind of bubble in what is otherwise an infinite ocean of water. 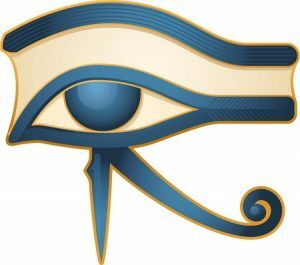 The sky is the skin of the infinite ocean that contains what we call the atmosphere, which was caused by two forces that the Ancient Egyptians called Shu and Tefnut. Both Shu (heat) and Tefnut (water/moisture) mean ‘atmosphere’. Nun (the pre-creation cosmic ocean) is the root out of which Shu and Tefnut were created. Heat (Shu) and water (Tefnut) are the two most universal shaping factors of life forms. These terms correspond to fire (heat) and moisture, respectively, and are to be understood as metaphors and actual correspondences for the abstract qualities that they represent. Shu, represented by fire, air, and heat, corresponds to the quality of expansiveness, rising, centrifugal forces, positive, masculine, outgoing, outward extroversion, etc. Tefnut, represented by moisture and the objective material basis of manifestation (Nut, the suffix), corresponds to contraction, downward movement, centripetal forces, negative, feminine, receptive, inner, introspection, etc. 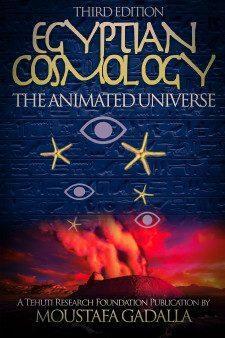 The above Ancient Egyptian concept concurs with modern scientists, who tell us that the galaxies are subjected, now, to mainly two opposing forces: 1) the expulsion forces, which cause all galaxies to move away from us; and 2) the gravitational/contractional forces, which pull the galaxies together.